Mont Cenis. Nursing 1821. French historical clothing. Costume of Mont Cenis. Nursing 1821. 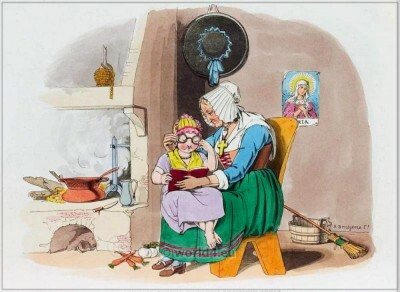 Sketches Illustrative of the Manners and Costumes of France and Italy. French national costumes.